Getting Married? This Will Probably Be Some Of The Best Beauty Advice You’ll Have If You Are Going To Invest Good Money In Your Hair and Make-up Artist. Recommendations from friends and family are great and will give you a good head start of where to look, however ensure that you look at their portfolio. Read the customer reviews; follow their social media pages to see real images from real weddings. Stay clear of those offering promotions and special offers. The good artists are busy and don’t have the need to run offers. A decent and reputable hair and makeup artist will charge anything from £180 to £280 for hair and makeup on the day. They will usually have a minimum-booking fee in place too. If somebody is charging less the chances are the quality of their work and products that they are using are not as high end. 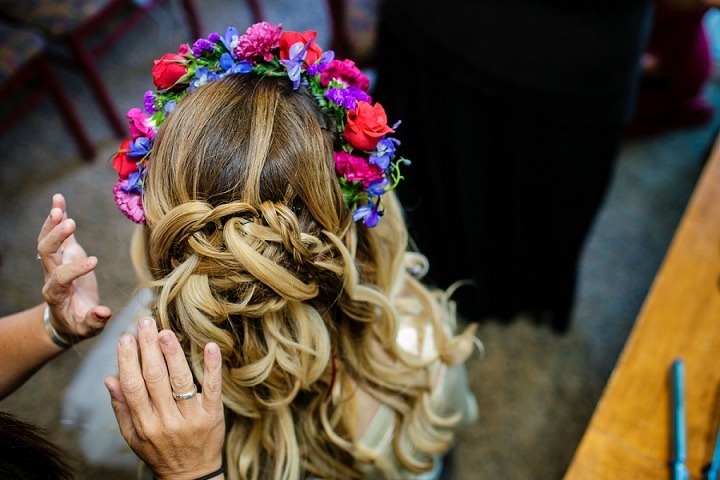 A good hair and makeup artist will need between forty minutes and an hour per person for hair and makeup. If an artist says they can complete eight people in two hours then you know that the quality of their work isn’t going to be great…. After all you want your hair and makeup to last from early morning right into the evening and even better if it’s still hanging on in there early hours of the next morning! 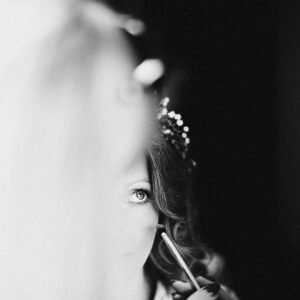 Any reputable hair and makeup artist will encourage a trial before your wedding day. It is essential to ensure they have the time to create the best possible style bespoke to you. 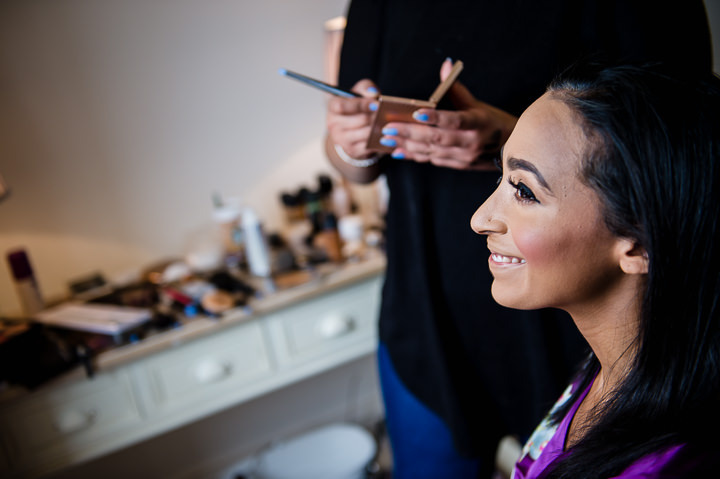 Now that you have chosen your hair and makeup artist lets talk about top tips to ensure your hair and makeup trial runs smoothly. Be realistic with your expectations. When looking for inspiration choose images of people with similar colouring, hair type and facial features as your own. Most importantly remember that many images online are heavily airbrushed and filtered. No-one looks like that in real life! 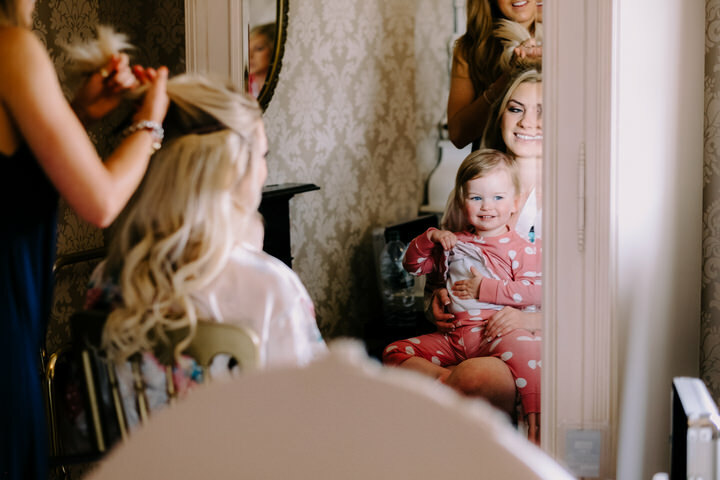 Support from mums, sisters and bridesmaids on your trial is great, however avoid to many opinions as it can end up being confusing for both the bride and the hair and makeup artist. Avoid myths like dirty hair styles better. Please wash your hair the day before the trial. Greasy hair can be very difficult to style. Unless your artist specifically requests you to do so, then don’t use any product such as dry shampoo in your hair prior to your trial. 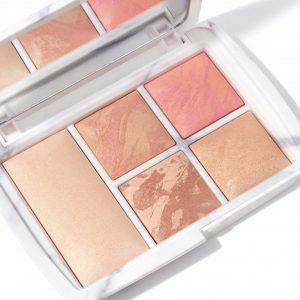 Makeup always sits better on skin that is well looked after. Make sure you cleanse and moisturise everyday and exfoliate once or twice a week. 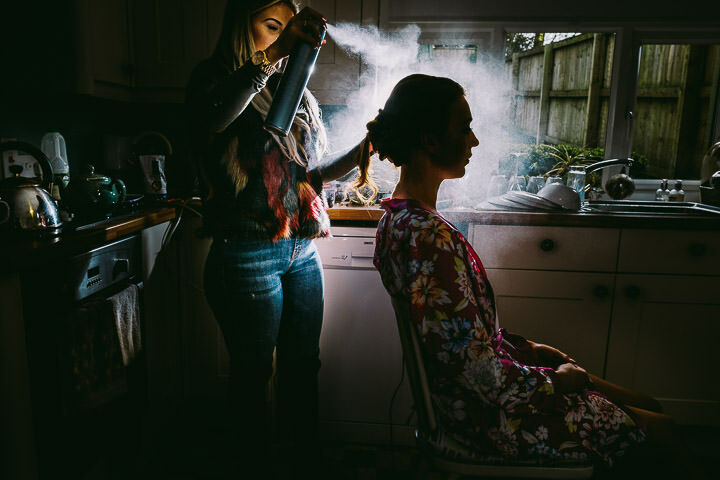 Put your trust in your hair and makeup artist, you have invested good time finding the best one, now allow them to work with you, they have tons of experience and will know if something is/isn’t going to work. When the big day arrives you want it to be 100% perfect in everyway possible. The following pointer really shouldn’t be ignored, especially if timing is a concern. Avoid another myth that the later on you have your hair styled and makeup applied the longer it will last. 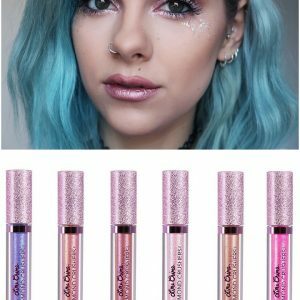 1-2 hours in the morning wont make any difference at all and your lip colour can be topped up just before you leave. Don’t be temped to put yourself last in line. The final 1-2 hours before you leave for your ceremony is when the pace really picks up. 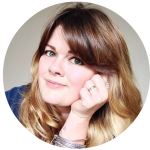 People around you are no longer sat relaxing with a glass of fizz and are, instead, buzzing around conscious that there’s not long left to complete all the little details and get completely ready. 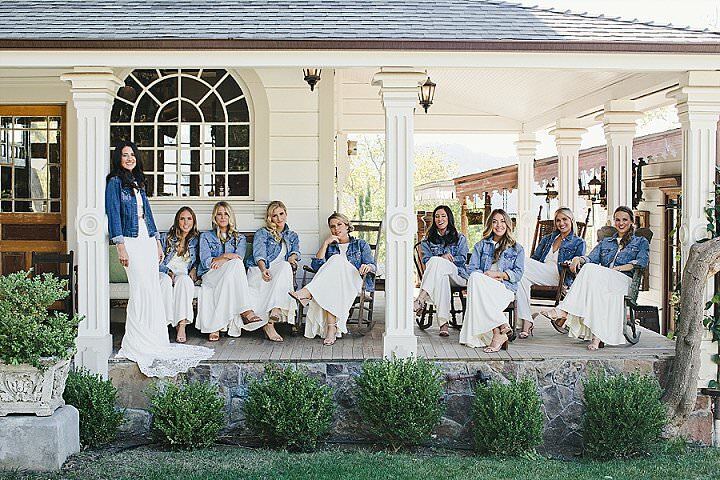 It doesn’t matter how easy going and organized you think you, and everyone in your bridal party, are. It’s very hard not to feel the pressure mounting and you really don’t want to be in the hair or makeup chair at this point.